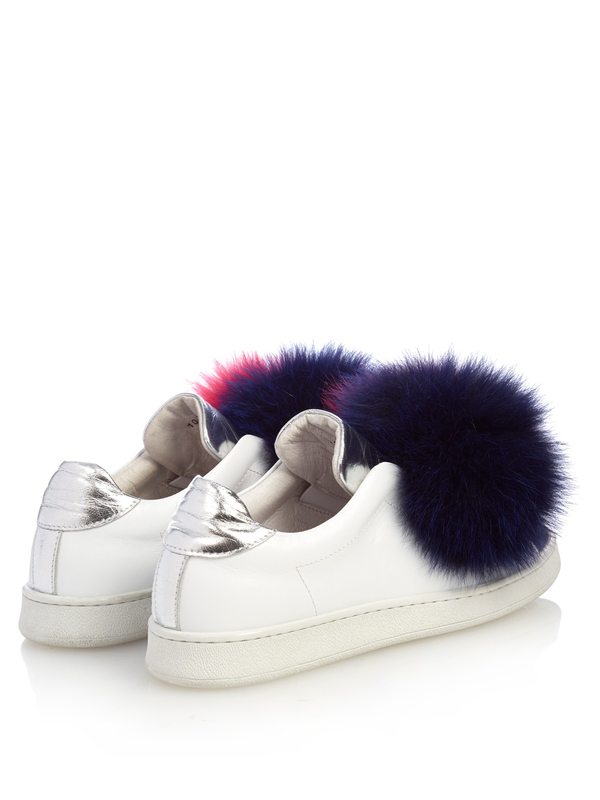 See more Fur Low-top sneakers. 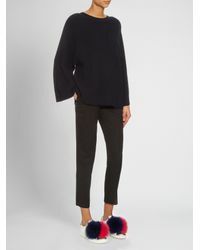 We check over 450 stores daily and we last saw this product for $182 at MATCHESFASHION.COM. 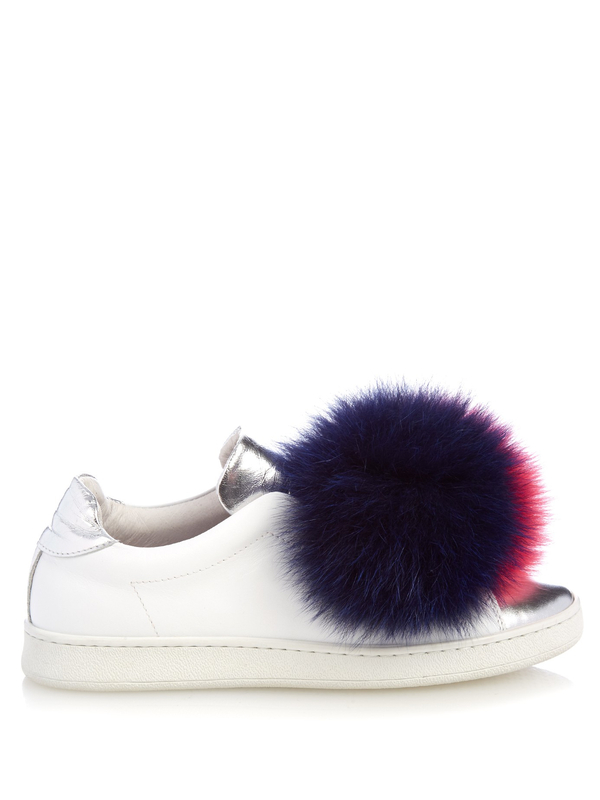 Give your look a playful twist with these eye-catching sneakers from Joshua Sanders. 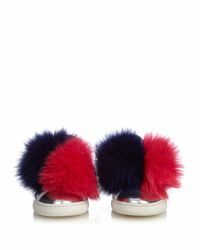 The white leather body is boldly contrasted with pink and purple pom-poms on the vamp and silver paneling on the toe and heel. 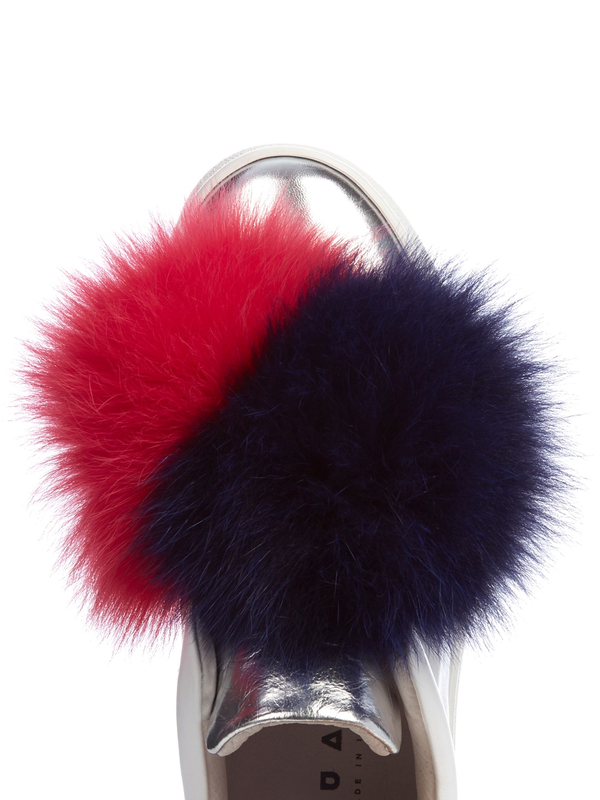 Wear yours with cropped flares to showcase the striking low-top sneakers.